Leo's family moves to another neighborhood because his brother, Caleb, who is on the autism spectrum but has a host of other issues as well, has irritated the neighbors. Leo doesn't mind, and is a little relieved to be further from neighbors. When he starts at his new high school, he decides to put his summer of running away from Caleb's unexplained tantrums to good use and joins the cross country team. The best runner on the team. Curtis, is impressed that Caleb can keep up, and the two become fast friends. Curtis is instrumental in helping Leo connect with Mary, an artistic girl who seems to understand Leo. Cross country and running is a good way for Leo to escape the difficulties of Caleb's outbursts as well as a way to avoid his irritating parents who may or may not be having affairs. Curtis and Mary are good distractions, and Leo is able to do well in cross country and continue into track in the spring. Caleb's outbursts, and his parents ability to deal with him, don't improve. When a tragedy occurs, will it sideline Leo, or make his life sadder but less complicated? Strengths: Not only are the details about running in this really, really good (best detail of the strategy of winning a cross country race I've read! ), but it's a great teen boy book. Even though it's marketed as Young Adult, I am so grateful that Currinder was circumspect in his descriptions: I especially love this line (from the E ARC, page 149: For the most part Mary and I were acting like old people, the kind who never get off their porches and do anything. That was, until Mary's mother started dating some new guy. Then we started getting to know each other in new ways." Well. A 6th grader is going to read that in a completely different way than a 9th grader!) I adored Curtis-- the way he answered Caleb's questions without flinching, the vintage leisure suit Halloween costumes, his plan on winning the state championship, and his insistence that Leo run 8 miles in the winter. Mary was also a good character who was a bit less understanding of Leo's silence. I was a bit blind sided by the end of the book. I usually see these things coming, but totally did not! I decided that what sets this book apart from books that have teens facing sad issues is that Leo doesn't go in for drama. Yeah, stuff happens, but he moves on. This may be why I prefer books with male main characters these days. The sports descriptions keep things moving along, and Leo is a stalwart example of how to hold one's head up when things are difficult. Weaknesses: Is this too slow moving for middle school readers? No. Caleb's eccentricities are portrayed in a way that makes them oddly intriguing and not as scary as they could be. Leo jumps right into cross country and his friendships. There are a few moments that are not as delicate as most middle school books are, but come on-- the boys cross country team stealing the girls' swim team suits and running across town in them? That I would like to see! What I really think: There are so many of my runners to whom I want to hand this. Not all of them, but there are a number that would appreciate the nuances of Leo's difficulties while taking a lot of lessons from his dedication to running. Probably my Cybils' nomination for YA Realistic Fiction! My favorite books to read in 4th grade were biographies. My elementary school library didn't have many, but there was a section of Childhood of Famous Americans books, and I would take out one a day (I worked in the library during recess-- there's a shocker!) and read it on the back porch at home when the weather was nice. While those books aren't tremendously well researched, they were fun to read. The best biographies hit a balance between those two important things. This biography of Jackie Robinson balanced things well. There was information about Robinson's life as a child, which made the historical context of his inclusion on a major league baseball team make more sense. There were enough details to make the story interesting, but not so many that the book got bogged down. The pages were well formatted-- there was enough white space, and the print was not tiny. I always appreciate a good index, and there are even footnotes (which one needs, but which students never consult!). There could have been more pictures--Tam O'Shaughnessy. Sally Ride: A Photobiography of America's Pioneering Woman in Space really spoiled me, and I want ALL the biographies I read to have this many pictures! I learned a lot of interesting facts, and my readers who want sports books will read ANY sports books, even nonfiction ones. 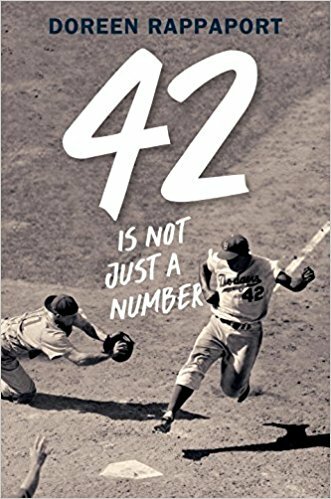 There are a lot of books covering Jackie Robinson's life, however-- I would be even more interested in a book about his brother, Mac, who came in second to Jesse Owens in the Olympics, or about the other African American men who came right after Robinson-- Larry Doby, Willard Brown, Henry Thompson and Dan Bankhead. Until those books come out, I'll definitely have a need for Ms. Rappaport's fine book. Both of these books sound good, though I am not sure why the family would have to move in Running Full Tilt because of Caleb's autism, that seems a little unfair. The Robinson bio also sound intriguing and I'm looking forward to reading it - I'm a Brooklyn girl, but long after the Dodgers and Robinson and Ebbets Field, but I sure heard about them all my life. I can't remember exactly what Caleb did, but it was significant enough that the family felt embarrassed and the neighbors felt unsafe. A little questionable, I agree, but the family needed an excuse to move so Leo could start anew. It seemed plausible; I remember that much! Running seems to be a popular theme in books recently. I can't wait to read this one. You make it sound very appealing. Thanks for all of your reviews this past week. I am always on the look-out for new books that deal with kids with different abilities. Your review is exceptional and I will be checking out this story. Thanks!! Oh, that 42 Is Not Just a Number sounds good. Only bummer about not enough pictures. We'll pay a little more for the book. Get the rights, people! The other one, too. Just I loved that movie 42 so that's the one that stood out. I love books about running! The Running Dream is one of my favorites. Thanks for sharing this one. Cross country--a fine sport, of course. And I wish that someone would bring bios of all those other players. There would certainly be an audience for them! My kids loved sports stories, but I'm more interested in realistic stories that include sports. 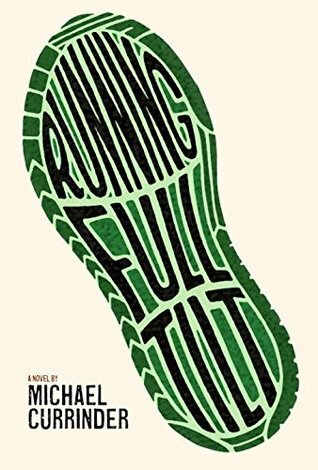 Running Full Tilt sounds like a wonderful read.